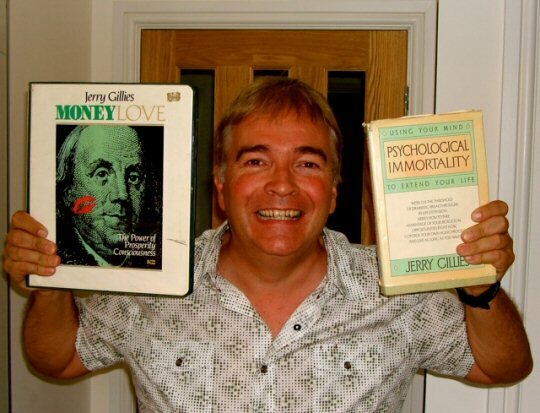 Today we have something very special – an interview with Jerry Gillies, the Author of Moneylove, a remarkable book about prosperity consciousness first published in the 1970’s that went on to sell over 2 Million copies. My father, Barry Dunlop says Jerry Gillies was the single greatest influence on him developing prosperity consciousness and the ability to Think and Attract Success. We have both a podcast and a transcription of Jerry’ s interview here – I have already listened to it several times – it literally is littered with Gold Nuggets of information. I know I say this often, but this really could be our best interview ever. Click Player Link Below To Listen to The Jerry Gillies Interview. Click the player above to listen to the Podcast or read The Transcript is at the end of this post for those who prefer to read it. Hello Jerry – Thank you for being on this call. I know it’s a big statement to make, but I believe that the people here at IncomeDiary.com are going to be blown away with some of the strategies and some of the thoughts that we’re going to be sharing here today. Jerry, you are the person who raised the greatest awareness of prosperity in me personally, so can we start with – how did Jerry Gillies discover prosperity? Who were your influences? Who were your mentors? Jerry: Well, I always had a prosperity attitude, though not a lot of money, in that I lived my life the way I wanted to live it. I had been in broadcasting, and when I left NBC, I fell in love with a psychologist. And she was in Florida, so I moved to Florida. And there I did workshops on communication and relationships and wrote a couple of books on those subjects. And I had two friends, Mark and Rachel. In fact, Mark was a body-worker, a Rolfer, and Rachel was his assistant and a masseuse and has since become a very prominent psychologist. And they introduced me to a set of tapes by a man named Leonard Orr. Leonard was in Northern California, in San Francisco, and he was talking about what he called “prosperity consciousness.” And what he did that was different, that no one else before him has done, is that he said your attitude about money, about cash, is what determines your result in life in terms of your financial success. And I started to look at that in my own life, and I applied some of the concepts, and was really surprised they worked, very quickly. Well, at the time, I started talking about money in Miami, Florida, where I was living, and people were very responsive. People were taking some of the ideas and changing their lives, literally, overnight. And I’m a little embarrassed to admit it only took a little less than three weeks to write “MoneyLove.” It just flowed out of me, from my fingertips into my typewriter. Of course, in those days, we didn’t have computers. And the book is largely that book. We did very little editing. And it’s had a long life, over 20 years in print, and it’s still very much alive, even though the publisher has gone out of business. People are trading used copies on eBay, on Amazon, on Barnes and Noble, on many other sites online, and quoting from it almost obsessively. It’s become a cult classic. And I just am very excited and humbled by that energy. And I think it speaks to the fact that people realized there was something missing in their whole approach to achieving financial success. Barry: Wow. I’ll interject. I think, Jerry, you might be just a little bit too modest here, actually, because didn’t that book sell something like over two million copies? I know it was over a period of time, but that’s a pretty significant number of copies of a book to sell. Jerry: It is, and I think it filled a demand. And of course, it was one of the first books in that area, certainly the first one since way back in the late 1930s, when Napoleon Hill wrote “Think and Grow Rich,” which still has been very popular all through the years – and rightly so; it’s a magnificent book. So this was something new, a slightly new approach, and I think people responded to it. And sometimes it actually goes for significantly more than the original published price, shall we say, just because it’s in demand. And if you can get a set of the tapes, well, I mean, that is absolutely amazing. And what’s nice about it, Jerry, is not the fact that I just treasure it. It has a phenomenal positive anchor for me. Because I even sometimes just have to look at the cassette cases, and it takes me back to a special moment in my life when I was discovering things that, really, frankly, we should have discovered much younger in our lives, much earlier in our lives. Because you do mention the fact that you always had a bit of a prosperity consciousness. You were born in a family where you had prosperity consciousness. I, on the other hand, didn’t have it. I remember you using an example of the money tree. Do you remember the money tree and being told…? I was one of the children who was told money didn’t grow on trees. [laughs] I think you were told the other way around. Jerry: Well, my parents never had money. My father worked in a job in a factory, became a supervisor. We were always limited. In fact, they would take almost everything they had out of the bank to go on a two-week summer vacation at the seashore. And I thought that was a real sign of prosperity consciousness: to take the risk, and take all the money you were saving for any possible problems or contingencies or health issues, and just spend it on a vacation. And that was the attitude that was fostered in my household, that the time you had was more important than the money, and the quality of life was more important. That’s real prosperity. Barry: Indeed. And actually, that was probably the breakthrough for me, Jerry, when I realized that… I call it, actually, somebody described to me, the rocking-chair test. One day, when you’re sitting in the rocking chair, will you be glad you did something or regretting that you didn’t do some things? And so many of us, actually, put off some positive and great experiences for a variety of reasons. Quite often, it’s because of money, and it’s because we don’t allow ourselves to enjoy what we rightfully should be enjoying. We can’t say it’s a replacement for “MoneyLove” because nothing will ever replace “MoneyLove,” but you’re releasing something, very shortly, that, if you like, is an update on “MoneyLove,” or an addition to “MoneyLove.” Do you want to spell out the name? What’s the new program going to be called, Jerry? Jerry: I love it, too, because, of course, it’s related to “manifest,” which has always been an important word in my life and in the work I do. Also, it’s a preview, to some extent, of a brand-new, revised edition of “MoneyLove,” which I finally decided it was time to do. And it might be a series of e-books that will be revised and annotated and updated for this new economy we’re in, this new era of the Internet. The whole world has changed. And one of the things I noticed is that a lot of books on prosperity and on success are just rehashing some of the old concepts and the old paradigms that Napoleon Hill and I and other writers put out there many years ago, and that it was time for a new perspective, some new ideas and some new strategies. Because we have a whole new world we’re living in now, where you can access everybody and anything you want in an instant. And that changes things, and I think we need to have some tools to deal with those changes, and to use them to become tremendously successful. Barry: And I think we should also say, Jerry, actually, that you very generously are going to be releasing this “MoneyLove Manifesto” free. Indeed, everybody listening to this call can request and receive a copy of it. That’s correct? Jerry: That’s correct. And what I put into this is everything I think someone would need to start changing their life in terms of their financial results. There are strategies you can put into immediate use. And I decided that I wanted to gift it to the world. I have nothing to sell right now. The new edition of “MoneyLove” is not even ready. But I wanted people to have this so they could go out, use it in their lives, and then, hopefully, will get back to me and tell me some of the success stories. It’s sort of like stating the obvious, but at the same time, it’s not obvious to so many of us. Can you expand on that? Jerry: That was in the original “MoneyLove”: “Wealth is attracted to the person who is emotionally and intellectually ready to accept it, expect it, and enjoy it.” And the truth is that if I were doing it today, I would say, “Prosperity is attracted to the person who is emotionally and intellectually ready to accept it, expect it, and enjoy it.” The definition of wealth is the accumulation of material assets. But prosperity, I think, has a wider meaning. It includes all the good things we human beings aspire to: great health and good friends, love, interesting and satisfying work, inner peace, a sense of accomplishment, recognition and applause, and enough money to do what we want with our lives. And one dictionary definition of prosperity that I was really impressed with, I liked it a lot: “an auspicious state resulting from favorable outcomes.” Let me repeat that, because it has some significance: “an auspicious state resulting from favorable outcomes.” And I like favorable outcomes. I think it’s something we can all aspire to. Barry: Absolutely. [laughs] That is the best definition, I think, I’ve ever heard of prosperity. That’s spot-on. 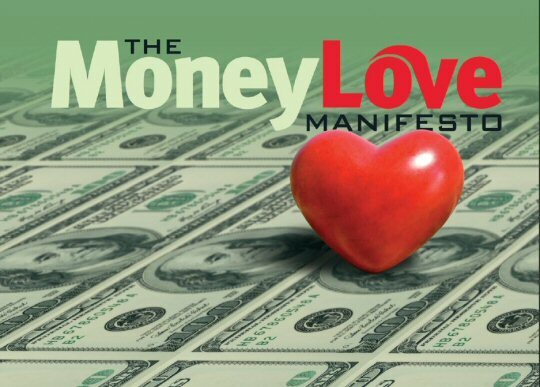 Because I’ve had the pleasure, folks, of reading “The MoneyLove Manifesto,” and it’s one of those things where it’s just gold nugget after gold nugget after gold nugget. So much good stuff in here. Barry Dunlop proudly holding the Moneylove Tape Program and the book Psychological Immortality, both by Jerry Gillies. And I just wanted to sort of pick out some stuff that’s in the manifesto, some stuff that you and I have shared together personally, and just give people a bit more flavor of what they’re going to get in the manifesto, and also a little bit more flavor of the mind of Jerry Gillies. One of your quotations that I regularly refer to – one which always, certainly, brings a smile to my face because I know how true it is – is you say that right now there are people who are a lot dumber and less talented than you are making a lot more money than you. I understand exactly what you mean by that, and I think a lot of people listening in or reading this transcript will be able to relate to it as well. But go on. Expand on it, my friend. Jerry: Well, I think this should be an inspiration to all of us. There are so many millionaires now, compared to when I first wrote “MoneyLove.” And this is because of the new economy and the Internet and the fact that we have instant access to everybody and everything, and so people almost stumble upon fortunes. In fact, off the top of my head, I can probably, as most people can, name 10 celebrities and 10 top athletes who are multimillionaires and whose combined intellect is probably less than that of a newborn Bonobo ape. Jerry: And I think it’s great. It should be inspiring, that these non-intellectual people, people who really can hardly function in life without a bunch of assistants to guide their every step, are making a lot of money. And there are people, on their own, who aren’t famous, who are making a lot of money. So the difference between making money and not making money, in large amounts, is not intellect. It is whether you are intellectually ready to receive it, and emotionally ready. That has more to do with it, your individual psychology, than your IQ. Barry: OK. I think, certainly, that’s a point which I, on a regular basis, Jerry, emphasize. Because I have people, friends, people who, frankly, I think, are a lot smarter than me, and I see how frustrated they become. And somehow they try to get into business or they try to make money online, or do something, and it doesn’t work out. But they’re fully aware that other people – trying to be polite about it – really, are less talented, certainly intellectually less talented than these individuals, and they make lots of money. So it’s just making that distinction between them. I’m going through the manifesto as you and I are speaking here, Jerry. And there are so many good points I could pick out, but really, I want to leave some of the big nuggets, as I call them, in there. But one thing which I think almost summarizes the Jerry Gillies that I know better than anything else is your comment when you say that if it doesn’t bring me profit, pleasure, or knowledge, it isn’t worth doing. Now, that was what I got more than anything else, probably, way, way, way back when I first listened to “MoneyLove, ” way back in the early ’90s: if it doesn’t bring me profit, pleasure, or knowledge, it isn’t worth doing. Expand on that for us, Jerry, please. Jerry: Well, I think it’s a way of setting your priorities. Especially today. We are being bombarded by all kinds of information and knowledge. I say that, with the Internet, 20 years ago, if you had been a billionaire or a king or a queen or someone who was a movie star, you would not have, no matter how many people you had working for you, you would not have had the access to the information that the average person can have now just by pushing a key on the computer. And in a life that is so filled with possibilities now, the more things that you can do that bring you all three together working in synergy, the better your life will work; the more you will produce, the more you will accomplish. And I think it pretty well covers everything, even spiritual awareness. I had the pleasure and privilege of meeting the Dalai Lama a few years back and I noticed one thing about him and I have a quote from him in the manifesto. I noticed that he always was smiling and laughing. This deeply spiritual man who millions worship and follow is a very happy and laugh-out-loud individual, so he certainly equates spirituality with pleasure. And I think that today we have an opportunity to get more information and more knowledge than ever before in human history and we need to be – and I talk in the manifesto about how to accomplish this in a number of specific strategies – we need to learn to be more selective, more discerning, more discriminating, if you will, in what we let into our minds. Barry: Yeah. I get all of that and actually I think for me personally, and I emphasize this to people who are listening to this recording and reading the transcript, if it doesn’t bring me profit, pleasure or knowledge, it isn’t worth doing. And that is actually a very good – I have got to say it is a life rule, if you like, to be working by, and is certainly one that most of us don’t really look at it and look at it and judge what we are in by profit, pleasure or knowledge. I actually used the knowledge one quite loosely Jerry because sometimes the knowledge is a knowledge I’d rather not get, but what I mean by that is that sometimes I work out things that don’t work and I say, well at least I have discovered something that doesn’t work rather than the other way around. But I get the point here and it is something I really would personally like to emphasize because it has had such an impact on my life. There is something else I am going to pull out and just say that again it is like stating the obvious, but it is stated beautifully, you have such a wonderful way with words Jerry. You say that even if you are doing everything right, if you keep doing it the same way, you won’t move on to greater accomplishment and success. Again, that’s an exceptionally good point because a lot of time a lot of us, I am certainly guilty of this is, I think well I am getting things sorted out and I am doing everything pretty well right, but the truth of the matter is I am never going to make any progress if I keep doing it the same way. So enlighten us on this, somebody who is doing it right, how can we move on, if you like, to even greater accomplishment and success? Jerry: Well of course this is assuming you are not completely satisfied with your current level of results. If you are, then you should keep doing exactly what you are doing. And you may be doing everything right, but if you want to change the results, you have to add on to that, you have to expand it, you have to try doing some new things, because our subconscious mind gets very habituated. It gets into repeating old patterns over and over and over again. And again, if you are happy with those results, fine, but most people would like more in their lives; more satisfaction, more accomplishment, more money even. And to do that, you need to do things in a different way and in some new ways. Barry: Great, absolutely. I mean I think actually that’s a very good point you made is, if you are already happy and you are satisfied, then there is no need to change, but some of us and I can count myself in this, I am always looking to see, can we go one more further, can we go a step further, what more difference can we make in the world and that’s why I asked the question. Jerry: Well, I think that’s part of being a human being is to want to always evolve to a higher level in terms of our intelligence, our emotional satisfaction and our impact on the world. And I think that’s what being alive is all about, always moving forward and creating momentum in your life, so that today is a little better than yesterday and tomorrow will even be better than that. Barry: Indeed. OK, this is great. Folks, before Jerry and I had a little chat today, I asked Jerry just to send me over some comments. This is stuff that really to be fair is not specifically in the MoneyLove manifesto, but stuff that I just asked Jerry to be a little bit more controversial. And one of the things he sent me which is a little statement which I really, I could get it straight away. You say, you don’t have to be stupid to get rich, but a little ignorance doesn’t hurt. I mean I should say I get it, but I mean expand on that Jerry, because I think that’s something that a lot of people would like to understand better? Jerry: Well, that’s a follow-up of course to the fact that there are people who are pretty stupid who are getting very rich, but ignorance is something different. And I was inspired to say this by a group of women who were on a panel and these were all women entrepreneurs who were multimillionaires including Mary Kay of cosmetic fame and the lady who invented the Barbie doll. And someone said, “Well, what do you all have in common?” And one of the women said, “We all were too dumb to know what wouldn’t work.” In other words, they grew up in the ’50s and ’60s and they didn’t have the male model of knowing that they would go into business and so they didn’t have some of the basic business information that men got at a very early age. And so they tried things that if they were men, they probably would have not tried because they would have said, oh that couldn’t possibly work or that’s not the way we are supposed to do it. And the things they tried often worked to great success. So ignorance of the way it is always supposed to be done, of the way it has to be done perfectly, can often lead to great success. The willingness to allow – and this is very important today particularly with information overload that we all have – the ability to select and to leave room for new things to come in. So many people are so goal oriented, their lives are so full with activity, their life plan is so set and sometimes this is the fault of life coaches they might be working with or consultants that they don’t have room for some totally new thing to show up that might be more exciting and more pleasurable and more knowledge producing and a lot more profitable than what they have been doing. You need to be selective and you need to leave room in your life for exciting new things. And sometimes being ignorant in a certain area allows you to try new things in different ways that other people might say, oh that can’t be done. – That is not ignorance, that is a strategy, but it is similar and it is related to what you are saying there, so I just wanted to share that. And the next thing you shared with me is slightly more controversial, especially considering that a lot of the people who are listening to this audio and reading the transcript are online marketers. And I think most of them will be familiar with the next comment you have made, so I am just going to read it right out Jerry and you are going to defend your comment, so let me put it that way. Barry: I get it by the way. You know which one is coming up? Barry: You say entrepreneurs online or off who try to create a sense of urgency or give you ultimatums about signing up for this or that before it is too late are appealing to and reinforcing your poverty consciousness and are to be avoided. Now, I think most of us have seen those offers and actually most of us see those offers several times a day, and most of us have actually bought into those offers, so why is it reinforcing our poverty consciousness and why should it really be avoided? Jerry: Well, first I should say it is reinforcing the poverty consciousness of the entrepreneur, because they do not believe that their product or service has such value that people will want it without creating a false sense of urgency. Let’s face it, there is no urgency. If someone is offering you a good deal today, their offer is good a deal or a better one tomorrow. They play upon your fears and insecurity and your poverty consciousness so that you will say to yourself, “Oh no I will miss out. They will run out. I better do this right now. I will never get another chance.” Now truthfully, when have you ever heard of a sane businessman turning away paying customers? It just doesn’t happen. For example, it is impossible to run out of copies of e-books and if someone tells you they only have 500 CDs on this hot subject and then they are going to run out, well they may only have 500 CDs in their desk drawer, but I guarantee they can pick up the phone or get on the computer and get 500, 5000 or 50, 000 run-up very quickly. So they are also being very condescending and not respecting our intelligence when they do this. Barry: OK. I know that lots of people will be able to relate to what you just said Jerry, and I think you have probably made a lot of friends in that statement, I know you don’t go through life looking for enemies, but as we would say here in England, you have put the cat amongst the pigeons. You have created a situation for some online marketers who might take issue of what you just said. Jerry: And I am not saying you can’t make a lot of money creating the sense of urgency, but if you would trust yourself on what you do more, you might find you can make even more if you are honest with people. Barry: Indeed, indeed. One of your comments Jerry, which I would like you to share with our readers and our listeners, is a comment you made about playing poker and why that might be a better strategy for an entrepreneur than having an Harvard MBA, want to elaborate? Jerry: Well, it is about playing your luck and I talk about this in the MoneyLove manifesto. This was inspired by a man named John Kluge who in the 1980s was the richest man in the world worth over $6 billion, which I know is small potatoes now compared to Bill Gates and Warren Buffett and other billionaires, but there weren’t that many billionaires around in the 1980s. And what he said was all his success was due to his skills at playing poker that got him through college and it was about playing your luck, that in poker as in life we all have good luck and bad luck. We have periods when things are flowing and going wonderfully well and then we have periods in which they aren’t. And the idea is how you respond and react to those particular periods is what dictates the level of your success. For example, if you are playing poker and I noticed this because I am a poker player, some people when they are winning, they will take some of that money and put it in their pocket for later on for times not being so good. Well that’s exactly the wrong thing to do, when you are winning is the time to put it all on the table to risk everything because you are winning. And when they are losing what they do is even more stupid, they take more money out and put it on the table in the belief that well this losing streak has got to end, and if I keep on doubling up and keep on adding money, eventually I will come out even or ahead. Well, a losing streak can last an indefinite time and that’s really stupid behavior, and it never works. So the idea is when you are winning, you take the risks and when you are losing, when things are not going so well, you pull back, you give yourself a chance to reflect, to see whether you might be doing things differently to be more successful. Barry: Beautifully put Jerry. I mean I know that we shared some very interesting, some I would almost say alternative wealth building ideas here today. I know from my own experience and other people who have been familiar with your material that it just has such an impact actually, because really you are almost going the opposite way to a lot of the mainstream. And I think that’s probably one of the most wonderful things about the whole material you are sharing here. This is stuff that I believe a lot of people have not heard before or not so familiar with. And I am really grateful and I should say our 30, well I would say a little bit more than 30 minutes, I know you allocated 30 minutes Jerry, you have been very generous, you haven’t mentioned the time. We are a little bit over 30 minutes now, but I just wanted to thank you very much for your time here today. 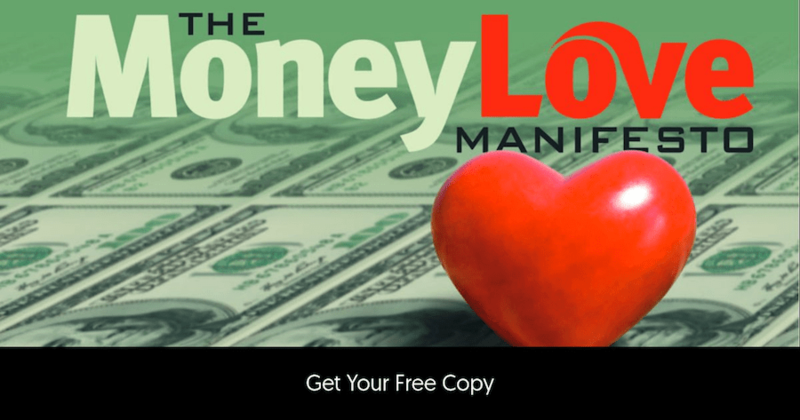 We are going to be including a facility here for people to request a copy of the MoneyLove manifesto. They could also comment on the blog about what they have heard and indeed their own experiences and their own thoughts of what you said. And I know Jerry, you will be fine with people disagreeing with you as well and if anybody wants to disagree with what Jerry just said here, they are very welcome to comment about that on the blog. But I know there will be a lot of people who will be very impacted and I know that you Jerry would love to hear from people who have been impacted. 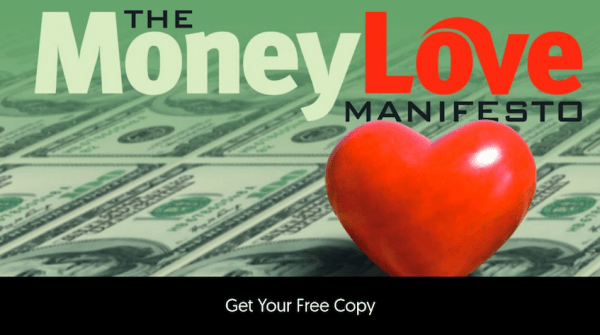 Your personal blog right now is JerryGillies.net and also just this week you are a launching the MoneyloveBlog.com and of course The Moneylove Manifesto. If they go there, I know they will be able to contact you personally and indeed we are going to be putting very shortly a couple of – I think the MoneyLoveBlog.com is going to go live very shortly, and to be able to contact you via that medium as well. Jerry, I should say thank you very much. I really appreciate having you on the call. Is there one final thought or anything you would like to say here today? Jerry: Well, I should say that another sign of prosperity consciousness is the willingness to give it all away and it is a challenge. And when I did the MoneyLove manifesto, I decided to put all the good stuff in this free gift and not save it for when I revise MoneyLove. And what that does is it challenges me to come up with more good stuff down the road. It enhances my prosperity consciousness to know that hey I have given all the things I know away, now I have to create new ideas and new strategies to make it even more exciting for people to want more. And I think that’s a sign that we should always look for, when someone is trying to teach us something positive. Barry: Beautiful Jerry, I mean I know that comes from your heart and that’s who you are and indeed you – and I think actually the fact that giving it away it allows room for your creativity to create even better stuff. Jerry, it has been a real pleasure. I really appreciate having you on the call and I know we will be speaking again soon. And thank you for being such an impact on my own life. I really appreciate it. >> All the tools and information you need to begin immediately making a difference in your financial life. >> How to become a Human Prosperity Laboratory. >> How to go beyond The Law of Attraction to The Law Of Having It All Right Now. >> How to use specific strategies to deal with information overload online and off. >> How tossing a coin, carrying a large amount of $100 bills, and learning to play winning poker can dramatically affect your level of abundance. Your FEEDBACK and Comments are welcome below…..
Jerry Gillies passed away 12th December 2015. Below is my personal tribute to Jerry Gillies – Prosperity Teacher and friend. Jerry that was a great read and I’m about to download the manifesto, sounds great. Interesting interview. I sort of agree and disagree with the statement of keep putting money out on the table when you’re winning poker. While I agree with the theory that if you’re on a winning streak you should let it continue, (especially with poker if you know what you’re doing) however that’s how the casinos get the punters playing casino games anyway and is a sure way to lose all your money. If you’re at a table and on a winning streak, when do you call it quits? You could be on a winning streak all night but it could be just one hand and you’ve undone the entire good run you’ve had. I think some careful planning and bit of pocketing a decent percentage of your good run along the way is a wise move 😉 You don’t want to lose it all! Good points Sarge. To elaborate a bit, I think it’s important when playing poker, or business, to have guidelines as to how much you want to come out ahead, and to judiciously begin to slow down and pull away when you approach that figure. And I don’t suggest betting your whole pile all at once. The hardest thing is to realize the winning streak may end abruptly and once you accept that, your playing intelligence improves (in business, too) without your having to be timid and always focused on protecting, preserving, holding back. Thanks to God, that he give me a chance to read this great interview. It was so nice… Really enjoyed and learn too much. Thanks for sharing this interview with us. I loved Jerry’s comment about urgency – the eBooks running out is precious ;-). But how else do we get customers to part with their hard earned cash to purchase our products? I must download the manifesto to find out I suppose. Doing that now. Not sure if I agree with the poker comparison. I would think that when one is ahead, it is the time to invest wisely. This is why I’m no good at poker :-). Enjoyed the interview and I look forward to tweeting with you on these concepts on twitter. I look forward to getting the manifesto when you release it. I was disappointed that it was not sent to me when I registered nor was any special report sent. As a suggestion you might want to notify other people in a thank you note that you are rewriting it and it will be available soon.